Featuring top-quality specifications, you're sure to find the right laptop for you above. The Intel Core i7 processor found in all the Lenovo Core i7 laptops above is built to enable you to achieve just about anything. It's capable of handling video editing and gaming, providing the best quality experience visually, as well as carrying out all those day-to-day requests with speed. It's a processor designed for those who like to be productive. 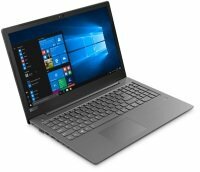 As well as being equipped with a speedy processor, the Lenovo Core i7 laptops above are all covered by our Ebuyer price match promise, meaning if you find the same specification elsewhere for less within 7 days of making a purchase, then we'll refund you the difference.